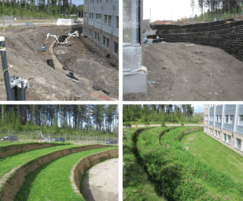 Flex MSE® is a patented engineering solution providing vegetated retaining walls for erosion control, landscaping, major infrastructure and bank stabilisation. 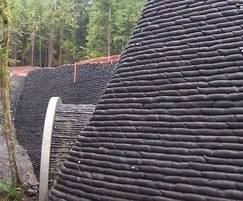 The system uses MSE (Mechanically Stabilised Earth) principles along with geotextile technology. 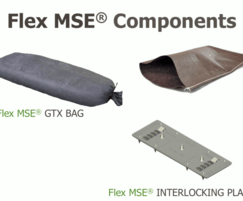 Non-woven Flex MSE® GTX bags are used in combination with patented 100% recycled interlocking plates to create strong, flexible block structures. 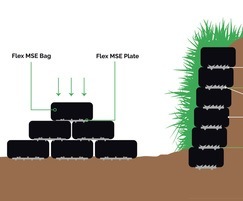 Flex MSE® does not require footing, rebar or specialised equipment to install. 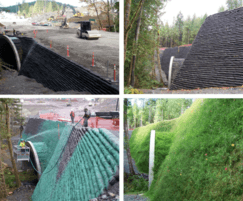 Flex MSE® bags are filled with a mixture of sand and compost, and can be formed into near-vertical (85°) retaining walls, green landscaping structures and erosion resistant sidings to rivers and coastlines. 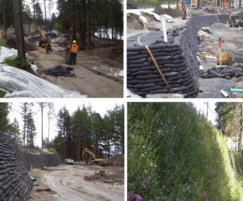 The patented interlocking plates, made from 100% recycled materials, are placed between the layers of filled bags to add to the strength and stability of the structures constructed at a 1:1 ratio. 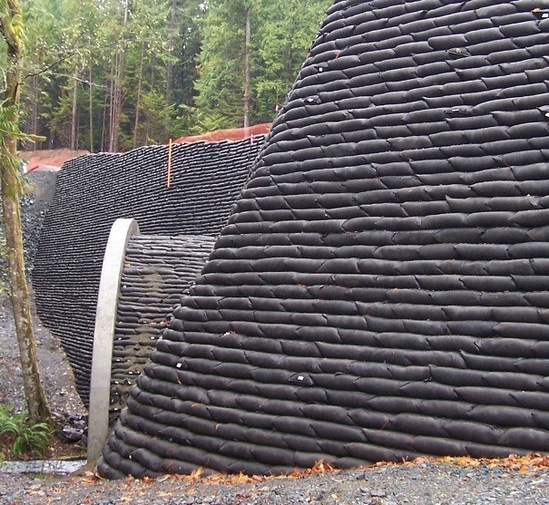 Flex MSE® is commonly used in conjunction with geogrid products and earth / soil anchors. 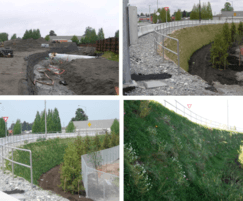 Flex MSE® is suitable for hydroseeding, live staking, live planting and brush layering. 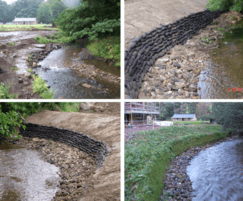 Flex MSE® units and proprietary fill media are water- and root-permeable. Flex MSE® has a 120-year ATSM rating and a 75-year manufacturer's warranty. 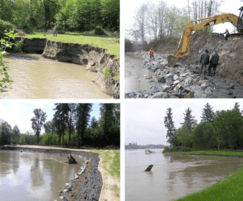 Flex MSE® structures can withstand almost unlimited differential settlement (up to 2m over 10m stretch). Flex MSE® is distributed by Gravitas International Ltd. Gravitas is CPD accredited and is a business partner of CIWEM. 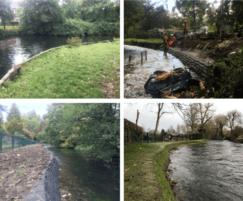 Flex MSE® can be procured from dedicated dealers throughout the UK and the Republic of Ireland. System CADS are available for any project. 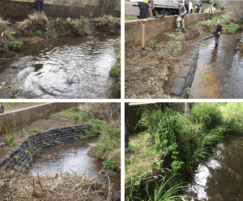 Flex MSE was used to create a 10m high retaining wall for a highway that runs over a sensitive stream. 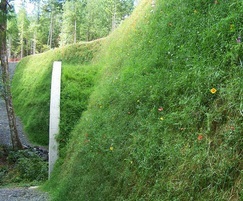 There were 6 batter-angle changes on the bank and the face of the wall was less than 1m away from a mature-growth forest.